Hinger Chain, Adaptor,sign Box Etc. 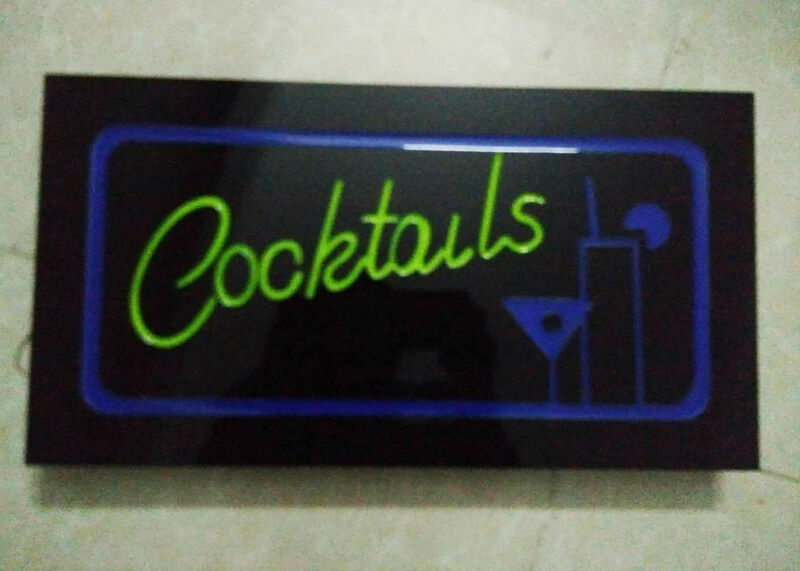 The LED resin cocktails bar sign is widely applied for bars, restaurants ,or retail store. Showing customer info. that the shop Is open, welcome to visIt. 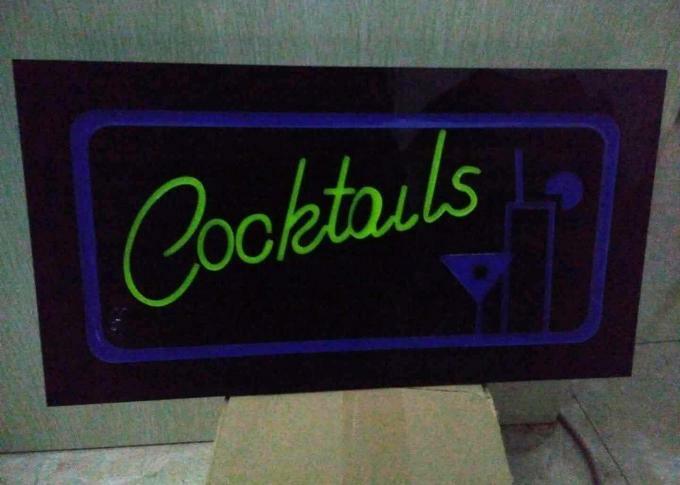 The sign panel is with embossed letter and casted expoxy on the letter which can illumanted with soft eyes looking light. It’s different with other bulb LED flashing light which is too dazzling and let the eyes feel uncomfromatble. 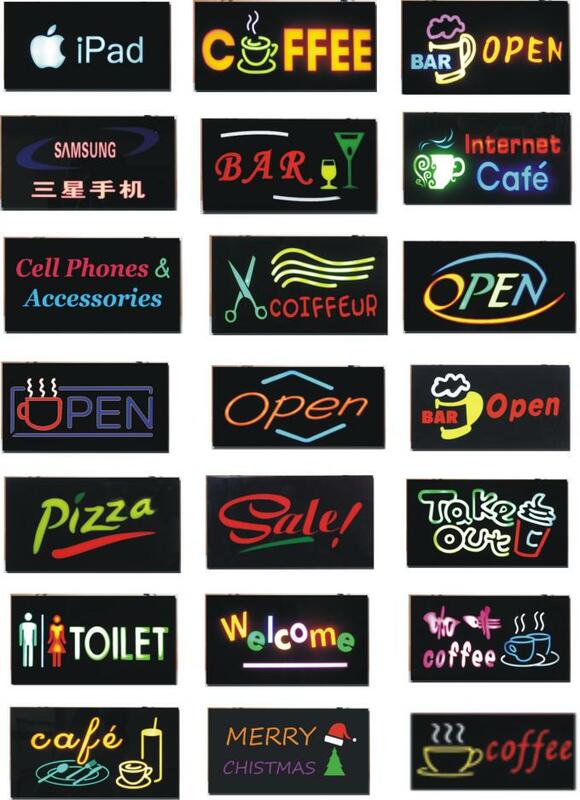 Customized content is avialable.You can choose this sign for your logo presentation, slogan prestation, store name advertising etc. Emanate light from the face of each letter (or logo). Used on storefronts, restaurants, schools and commercial buildings. Sometimes called standard channel letter signs. The most common type of dimensional channel letter signs. Customized content avialable. For Cocktails advertiisng ,good for window or wall sign.